Christian Horner does not think signing Fernando Alonso would be "the healthiest thing" for Red Bull. Christian Horner has all but ruled out a move for Fernando Alonso due to the "chaos" he feels the Spaniard could bring to Red Bull. Red Bull have a seat to fill next season after Daniel Ricciardo agreed a shock move to Renault. Team principal Horner says they plan to invest in youth rather than turn to the experience of Alonso, whose McLaren deal expires at the end of the season. Speaking on Formula One's Beyond The Grid podcast, Horner said: "I have got huge respect for Fernando. He’s a great driver, a fantastic driver. But I think it's very difficult to see… he's tended to cause a bit of chaos wherever he's gone. 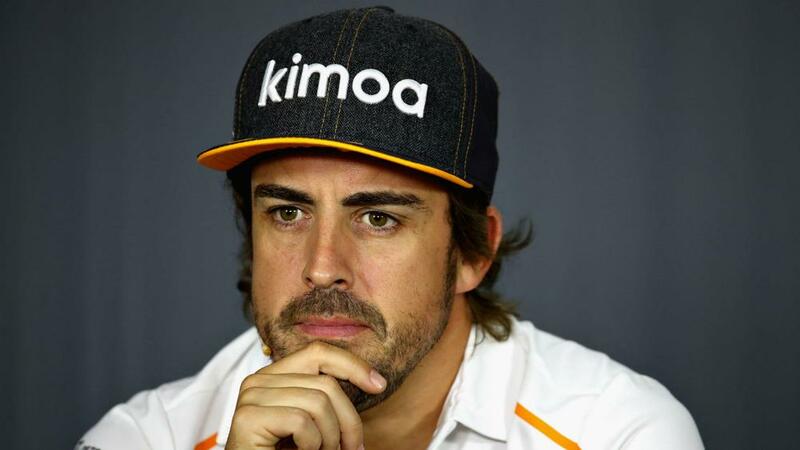 I'm not sure it would be the healthiest thing for the team for Fernando to join the team, so I think our preference would be to continue to invest in youth than take a driver who is close to the end of his career." Horner gave little away when asked if it would be fair to assume either Carlos Sainz Jr or Pierre Gasly will be Max Verstappen's teammate next year. "I wouldn't read too much into it at the moment. Both of those guys are very quick drivers. This just gives us a chance to take a breath. They are under contract anyway until the end of the summer or beyond, we'll just look at the options available to us and make the right direction for the team."